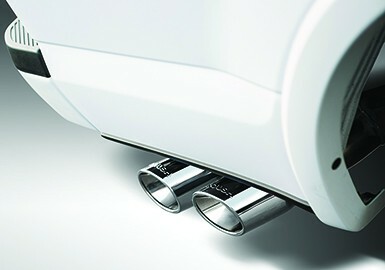 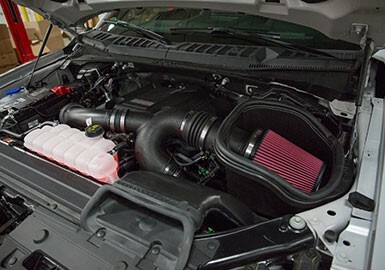 Increased engine performance with no PCM re-calibration required! 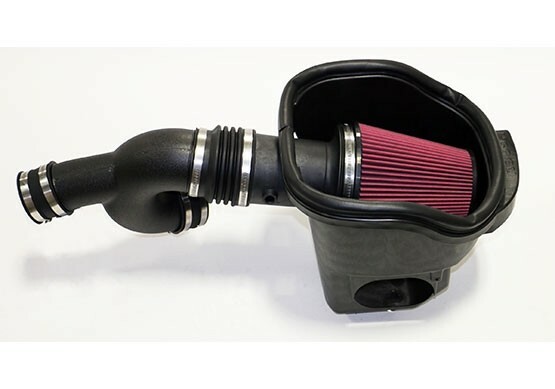 ROUSH Performance's cold air intake for the 2015-2017 F-150 2.7/3.5L Ecoboost V6 and 2017 Raptor 3.5L EcoBoost engine brings staggering performance increases that can be achieved with an installation that takes under an hour and does not require any calibration! 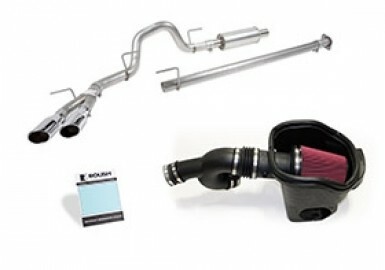 Your F-150 will benefit greatly from the addition of this ROUSH Cold Air Intake Kit, which provides more efficient air intake than the stock air box. 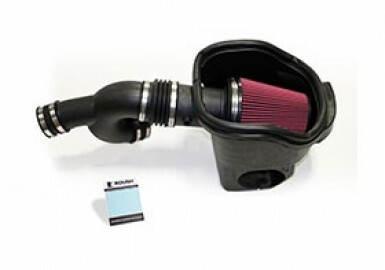 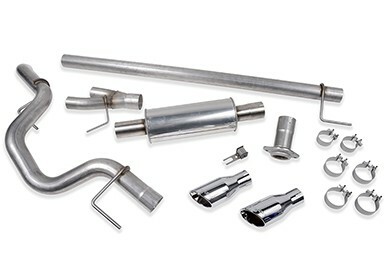 Providing up to 25% less intake restriction than stock in forced induction applications, this cold air intake kit – the most highly-engineered kit of its kind on the market – increases engine performance by over 28 RWHP and 27 ft-lbs RWTQ (tested on 2016 3.5L EcoBoost platform) with no PCM re-calibration required!